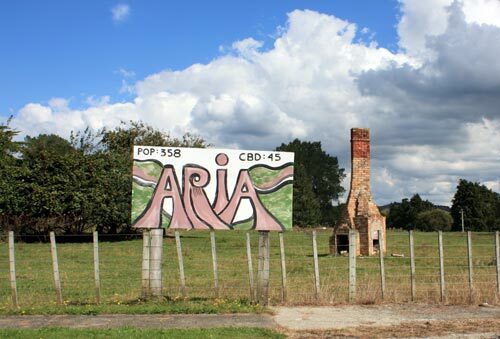 After the Second World War the population of the farming settlement of Āria dropped and small businesses and services closed. A resident has commented humorously on this change by erecting a population sign. It is aptly placed in front of an old chimney stack, the only remnant of a house which once graced this site.